On January 1, 2012, the California Transparency in Supply Chains Act went into effect in the State of California. Under the Act, certain manufacturers and retailers are required to disclose their efforts to combat human trafficking and slavery in the products within their supply chains. The following disclosure is made in accordance with the requirements of the Act. Porsche Riverside does not support or condone human trafficking or slavery. As a franchised automotive retailer, Porsche Riverside believes that our franchisor partners are in the best position to audit their respective supply chains to address this important issue. 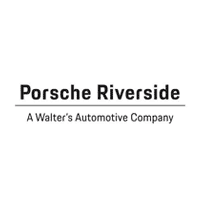 As a result, Porsche Riverside relies on the efforts of our franchisor partners with respect to the supply chain for vehicles and parts sold in California. This dealership does not independently verify or audit our manufacturer’s supply chains, require our manufacturers to certify that parts and materials comply with slavery or human trafficking laws, maintain internal accountability standards, or provide employee training on the prevention of human trafficking.